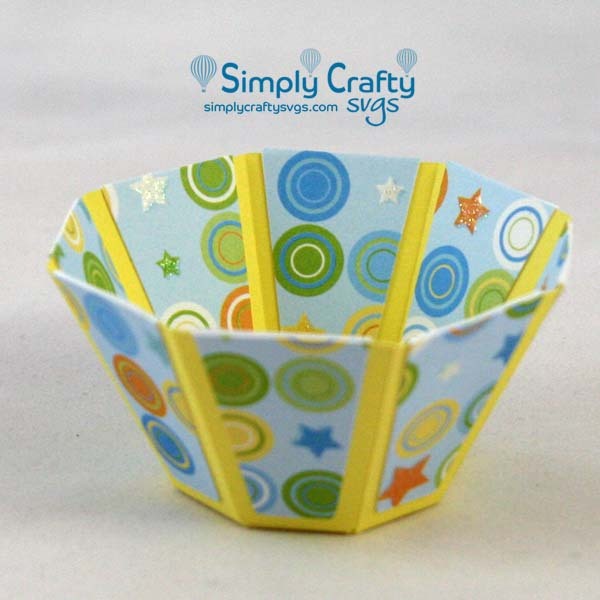 Small cup to hold embellishments and small die cuts. Use this FREE Embellishment Bowl SVG File to make a little container to hold your small cuts and embellishments for your projects. 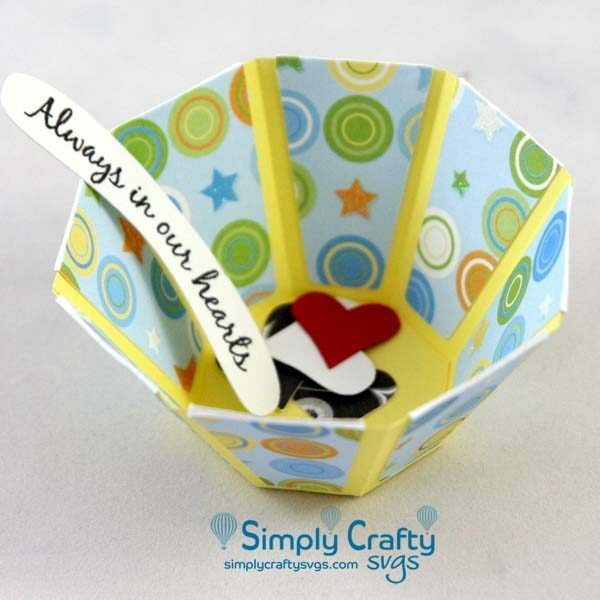 I use bowls all the time to hold small cuts for a specific card or 3D design. 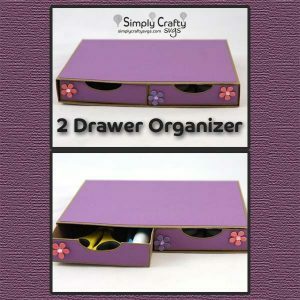 They will stack to store in a small space and they come in handy to keep all those teeny project pieces in one place! 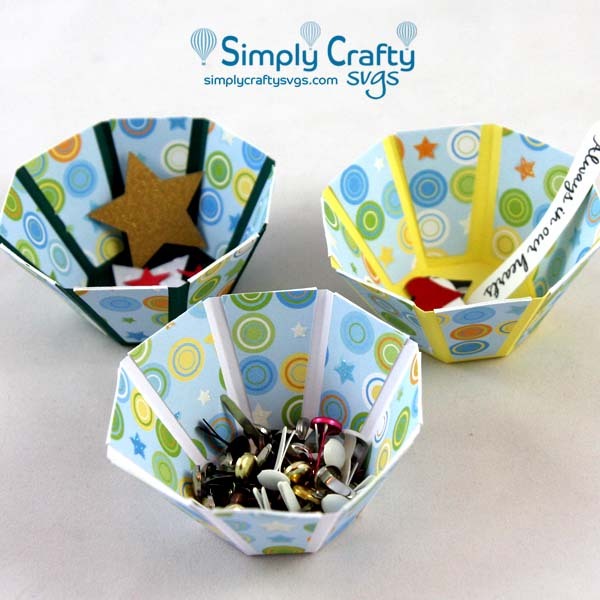 This file could also be used to make small treat cups for parties too. 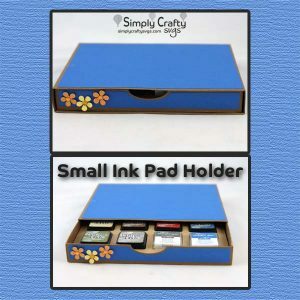 Finished size is 2.75” x 2.75” x 1.3” high.